Fantasy books, like any speculative fiction, is much like a universe, albeit confined within a cover. The author has the choice to create that universe any way they want it to be. Nobody has the power to stifle the author's creative zeal, outside of their editor and publisher that is. There are a lot of good books that present people of faith with a dilemma, that being the universe inside the cover is incompatible with their faith. The reader then must make one of two choices. They could decide to discontinue reading, which leaves them wondering about the characters, about the conflict, about how the challenges are met, and about how the characters interacted--in some ways leaving them feeling empty inside. On the other hand they could decide to go ahead and read it, they'll just have to leave their faith on the outside of the book's front cover. Writers know that readers of fiction have to "discontinue disbelief" in order for them to enjoy the story. In a similar way, people of faith, often times, have to "discontinue belief" that is the belief that is their faith, before they can enjoy speculative fiction in which the author has created a universe which is fundamentally different to the one they live in. Once the person of faith finishes the book, they'll close the cover and discover their faith waiting for them. Then they can put it back on so as to continue their life in this universe. Then they have a another dilemma, who do they talk to about the book? Their family? Their Sunday School class? Their close friends? They might be concerned about their witness. My flavor of speculative fiction, though extreme in many ways, is designed not to conflict with hard facts in the Bible, which provide some essential supporting pillars of some people's faith. Hard-line traditionalists may have problems with my book's dragons, giants, technology in ancient times, and even the idea that Noah had a daughter. That's okay, I see it all as possible, albeit extreme, nevertheless possible. While many of my readers are older adults, I am starting to be discovered by young readers, the feedback I'm getting is they like it. For a story to be acceptable, the reader has to make a connection with one of more the characters. Once what happens to a character matters to the reader, the hook is set. Good stories have tension which gets the emotions flowing. Better stories distribute tension throughout the adventure in something like a standardized random pattern, which puts the reader on a roller-coaster of highs and lows, thus keeping them engaged until the end of the book. Great stories keep the reader thinking about the story long after the book is closed. The best stories improve the character of the reader through metaphoric descriptions, which can only be discovered by reading the book. 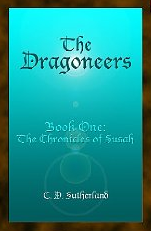 THE DRAGONEERS builds on the little we know of the antediluvian world and overlays it with a blend of technology, supernatural powers, dragons, giants, and martial arts to begin Susah’s adventure to discover herself. This 100,000 word, Genesis-based epic fantasy will attract those interested in speculative fiction, especially of the antediluvian world, and will also appeal to readers of contemporary fantasy as well as military fiction. THE DRAGONEERS is the first of a series, which will be a trilogy of series. The first series, THE CHRONICLES OF SUSAH is set in antiquity, the second series is set in the near future, and the final series set in the distant future. By the time this is finished, I will have evaluated the success and developed a follow-on course of action. This series came to me over a period of years in the 1990s. The big spark was during an attempt to write an end-of-times novel during a 1999 tour of duty in Saudi Arabia. The back story continued to swell until I found myself in the antediluvian age. The last book of the last series in this project will be the first book I tried to write. I conjured-up the word "dragoneer" as someone who controls dragons. I didn't do anything publicly with until I bought a couple of domains in 2005, one being TheDragoneers.com. I tried to cover too much material, at the time I was thinking three books to cover the three series I mentioned earlier. I entered my manuscript in the first year of the Amazon Breakthrough Novel Award (ABNA) contest, with the title THE LAST DRAGONEER and it was selected as one of 836 semi-finalists, winning a review from Publisher's Weekly. I improved the novel and placed better each time for the next two years, but still never made it to the top three. Not many people will elect to read a 1200-page book from a debut author. Thus I divided my original story into three books and focused on shrinking the first one down to a 100,000 word novel, because I'd learned that's the size which most traditional publishers desire. I also learned that was mostly based on shelf space and standard shipping boxes. The book was eventually picked up by a small independent press and it came out in eBook format. The irony is the length of the book is not so big of a factor in the more modern publishing format. In hindsight, I would have done things a little different had I known that in advance. One great thing about eBooks, when I eventually go back and make a second edition of THE DRAGONEERS to correct the imperfections, anyone who owns it will get the new eBook without having to buy it again, unlike with second editions of tree books. Absolutely. I'm deep into Book Two, and in doing so, even surprising myself as my fiction-writing skills have improved. Hopefully they will continue to improve with each book, thereby giving my readers a better experience each time. I suspect many authors are tempted to go back and "fix" their earlier works, but if they choose to do that, I further suspect they'd never move their series. With each new book they write, authors will continue to improve their skills, until somewhere out there they reach their personal plateau, I hope my leveling-off is very far away. As I'm turning my drafts and plans into a second novel, my skills are improving. My readers should expect my books to get better over time. I think that is very reasonable. If I let them down with a future book, they will be more disappointed and if I take a long time to write a second edition of the story they already liked. So I must write the best book I can, working with my publisher and editors to catch and fix problems and move into production with the best finished product we can produce as a team with the skill sets we have at the time. Perfection is the enemy of good enough. Because it applies to all us, how about if I just share the words of Dachux, who is the mentor to Susah, in my novel The Dragoneers, "You are free to make your own choices, but ultimately your choices make you." Thanks Charles for taking your time. Great interview. I'm going to get this book. Nice interview, it's not often we get to read about the guy who invented a word. I just wonder why it took so long to come up with Dragoneer, it beats saying dragon-rider. We don't say train-rider, train-controller would work, but it doesn't roll as well as engineer. Train-rider would be a passenger, so dragon-rider sounds more like baggage. I read the book. 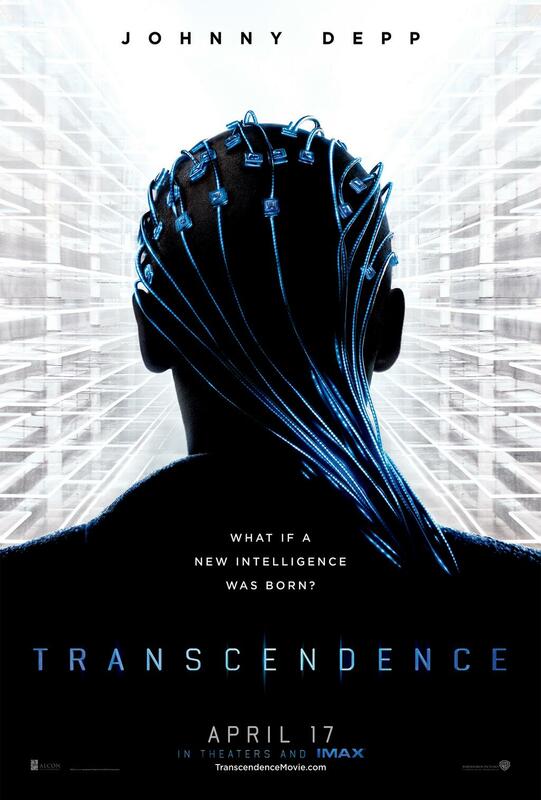 Enjoyed it thoroughly. The only thing that bothered me was I paid $7.77 and now the price is $4.44. I guess I should have waited, but it was worth the $7.77, so no complaints.